Chris Toon who was Principal Educational Psychologist for Moray until his retirement in 2009, died on 1 August, aged 68. A gentle, caring man, he was loved and highly respected by his close colleagues and friends who knew him well. He possessed a natural humility and was reticent about publicising his work and achievements more widely. Born in Nottingham, Chris’s childhood was steeped in educational influences. His father, who won the Military Cross in WW1, was a junior school head teacher as was his mother. Post WW2, Chris’s experience of growing up in the mining area of Hucknall had a profound and lasting influence on his outlook and values. He obtained a degree in psychology at Sussex University, followed by teacher training, a spell as a postgraduate researcher in Edinburgh University and later educational psychology training in Aberdeen. 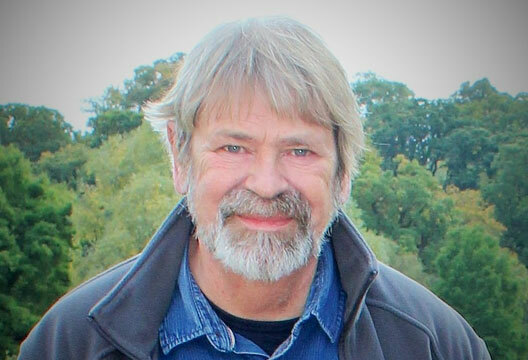 Chris moved to Elgin in 1974 to start his career as an educational psychologist. He succeeded Peter Cromar as Principal Educational Psychologist in 1990. He was highly imaginative in creating solutions to seemingly intractable problems and particularly skilled as a policy developer. He was also a man of vision who sought to develop new approaches and ideas. He encouraged his colleagues to pursue their own skills, interests and initiatives at a time when there were fewer pressures and constraints than today to conform to more strictly prescribed systems of work. This produced expertise which was not only beneficial to Moray but was also sought out by others elsewhere. A multidisciplinary approach to children’s services was at the heart of Chris’s practice. He was a passionate believer in inclusive education for all children, a concept which had been very tentatively introduced in Moray in the early 1980s. In collaboration with colleagues in education, social work, health and other services, he developed facilities for children with diverse needs to be educated in mainstream schools. These included children with all kinds of learning difficulties and severe social, emotional and behavioural problems. In 1985 he was granted £1000 by the Scottish Education Department to investigate the possibility of educating children with severe learning difficulties (terminology of the time) in mainstream schools. He used this opportunity to view provision elsewhere in the UK to help him to design strategies for Moray. Later he achieved a major coup in securing a grant of £1,000,000 to develop facilities for children with social, emotional and behavioural difficulties who needed alternative educational provision. This enabled Moray to provide for some children who might otherwise have required residential placements elsewhere. The key to all his approaches was to offer a wide, imaginative and flexible range of options. He strove to create ‘a place where everyone’s individuality was celebrated and not hidden’ (a quote attributed to Trevor Nunn); perhaps a fitting epitaph for Chris. His diplomatic skills and resourcefulness were crucial to overcoming initial hostility in some quarters to the concept of inclusive education. As a result, Moray was at the forefront of developments in this field in the UK. He ran a very happy service, enabling his colleagues to achieve job satisfaction and to form a close-knit group. His door was always open. He was a good listener and provider of support at times of stress, always ready with sympathy and wise counsel, but seeking nothing in return, despite the stresses of his own job. A man of sharp intellect and shrewd judgement, Chris never ceased to surprise with the breadth and depth of his general knowledge. Although outwardly shy, he enjoyed social occasions with friends and had a lively sense of humour. His work in Moray for 35 years was very important to Chris, but so too were the other two strands of his life – his family and his garden. He met Hilary, his wife and lifelong partner, at school and always felt that their children and grandchildren were his proudest achievement. He regarded it a privilege to view life through the eyes of the young. They simply loved him, and he, them. His productive and beautiful garden, created from a rough field, was a source of continuing pleasure and contentment. He also took a keen interest in politics and current affairs. Although English by birth, he came to feel that Scotland and its people were very close to his heart. Chris had suffered from potentially serious health problems. However, his premature death from acute leukaemia which developed during a recent Suffolk family holiday was unexpected and a devastating shock for family and friends. He leaves behind his wife, Hilary, children, Lizzy, Katy and Mike and grandchildren, Phoebe, Rosa, Gordon and Christopher.